As the old saying goes, when one door closes, another door opens. Such was the case with Scott Chaney. After 26 years working for a major electronics company, Scott found himself unemployed from his career as an information technology program manager in 2006. 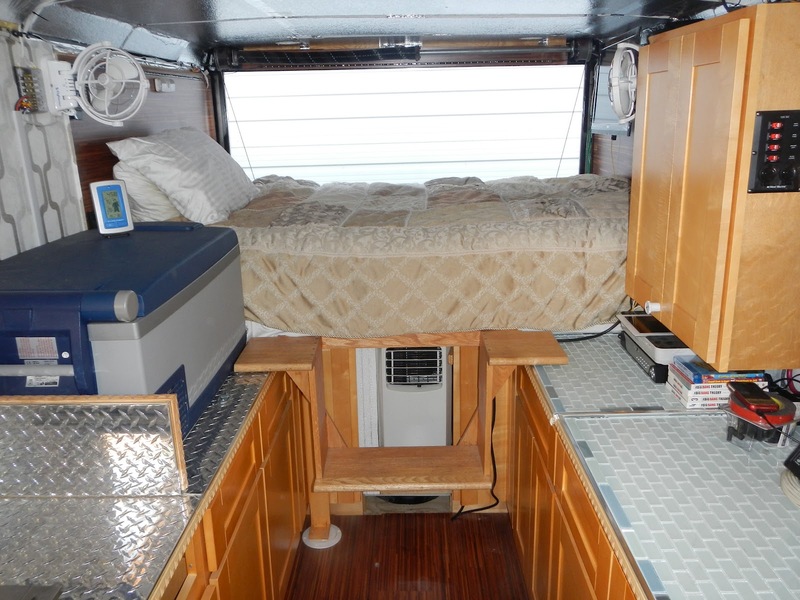 However, he seized the opportunity and put his personal interests and previous experience with mechanical engineering CAD to use and combined his two loves: designing and camping. 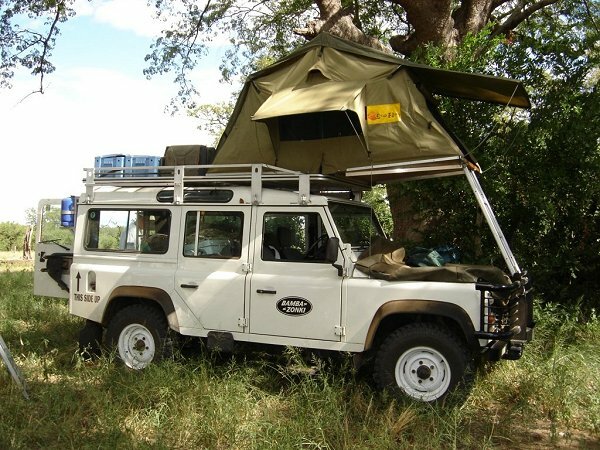 Unsatisfied with his desire to find a small RV that could be towed by a small car while still being comfortable in it, Scott found roof top tents, typical of the kind found on vehicles on a safari. 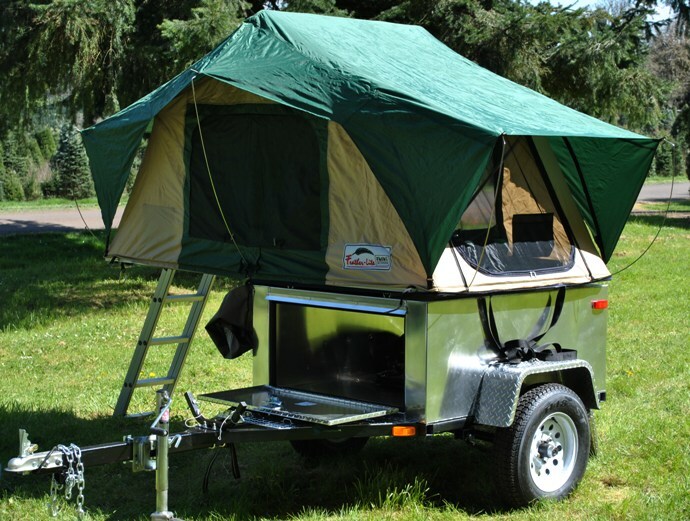 Once he found the type of tent he liked, he ordered one, built a diamond plate trailer to put it on, and with that, Compact Camping Concepts was born. 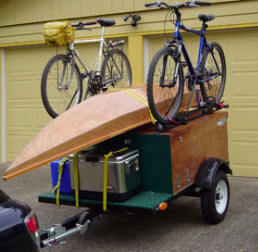 After a few camping trips, Scott found that interest in his tent trailer was positive. So much so that he decided to build a model called the Explorer Box. 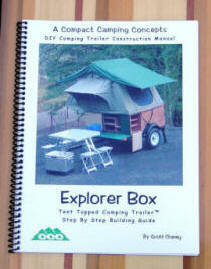 The Explorer Box DIY is the signature trailer in the CCC line. 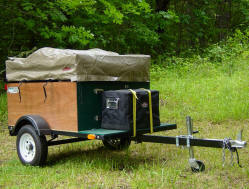 As the name implies, it’s a do-it-yourself trailer, which can be used as a tent topped trailer or a trailer to haul your gear. To get started on the Explorer Box DIY, the cost for the 85 page manual is a mere $30, which includes step by step instructions with photos, as well as material and tool lists. Based on a 4’x6′ deck, the base Explorer Box DIY weighs in between 375-425 lbs, sitting on a 1,000 lbs axle with an 80-110 lbs tongue weight, all easily handled by most 4 cylinder compact cars. 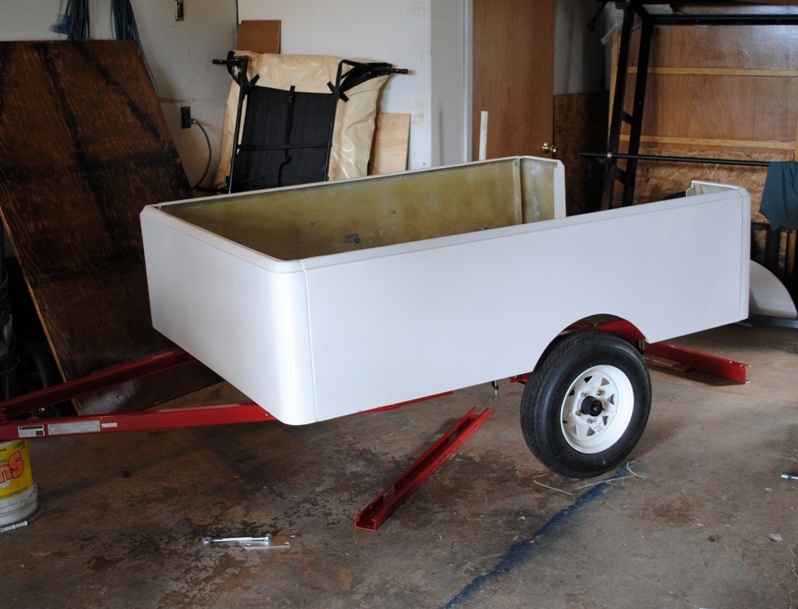 The CCC web site also carries a variety of trailer parts to aid in your construction, including fenders, locks, hinges, LED lights, wheels/tires, as well as tents and accessories. The Explorer Box AL brings some of the same conveniences as the DIY version, yet the AL has a lightweight aluminum box with a welded steel frame. 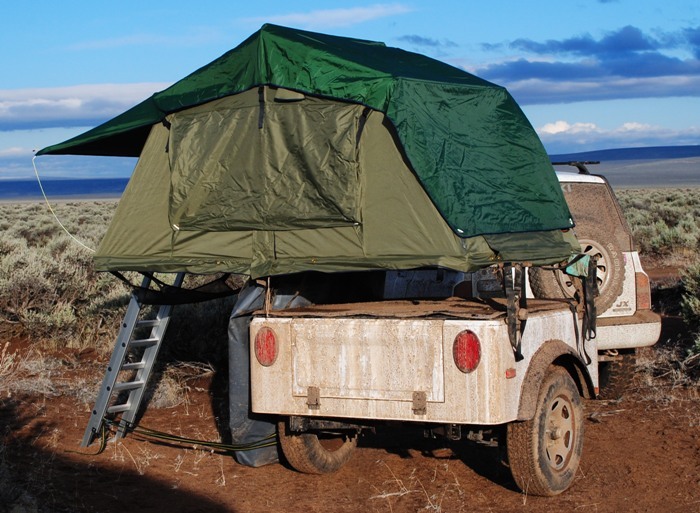 The Explorer Box AL comes standard with a “Mobile Outdoor Adventure Bedroom” or MOAB tent. Total cost of the kit is right at $4,000, disassembled. However, CCC can do the assembly for you. 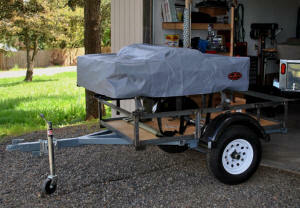 If you prefer to use it to haul your gear, it can also be built to suit that need as well. 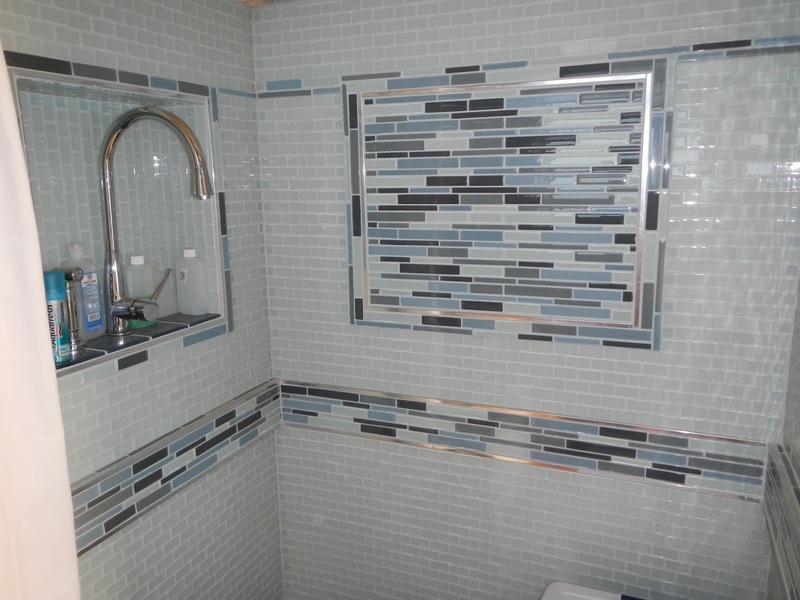 For the budget-minded, the Utilitarian offers a cheaper alternative. 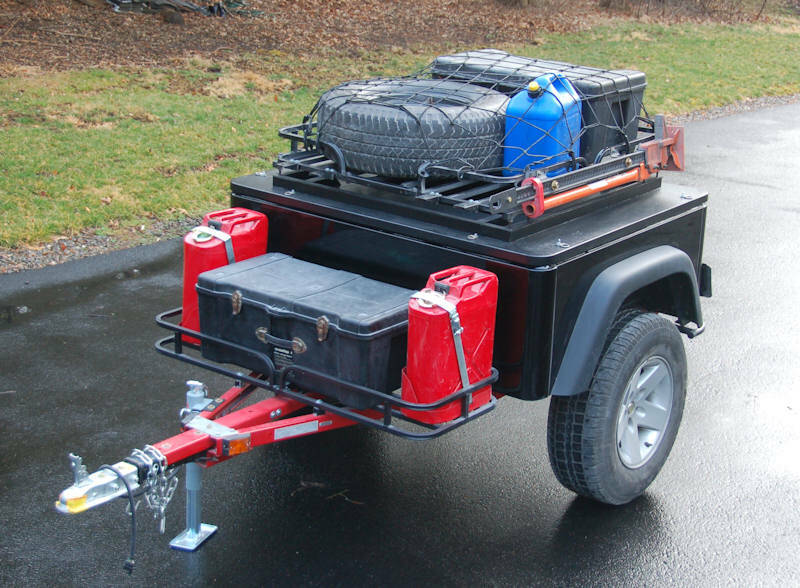 The open-sided concept to the Utilitarian gives it the versatility of being a tent-topped camper one weekend or a trailer for hauling supplies or loads the next weekend. It lacks the enclosed storage like the Explorer Box models do, but offers a little more diversity of use. 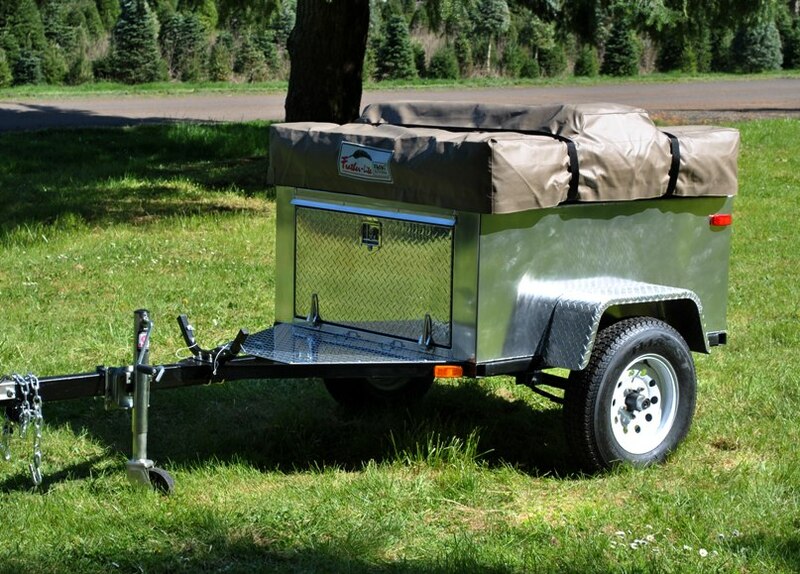 The LGT Camper utilizes a truck-bed type design, made of galvanized steel. 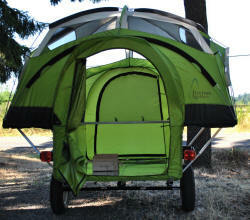 It comes with an integrated dome style tent that doubles as either a camper or mobile shelter. 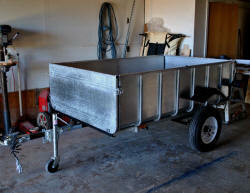 Sitting on a 2,000 lbs axle, the LGT measures in at just a tick over 10′ long from hitch to tail. Disassembled, the LGT can be fetched for around $2500, shipped to your door. 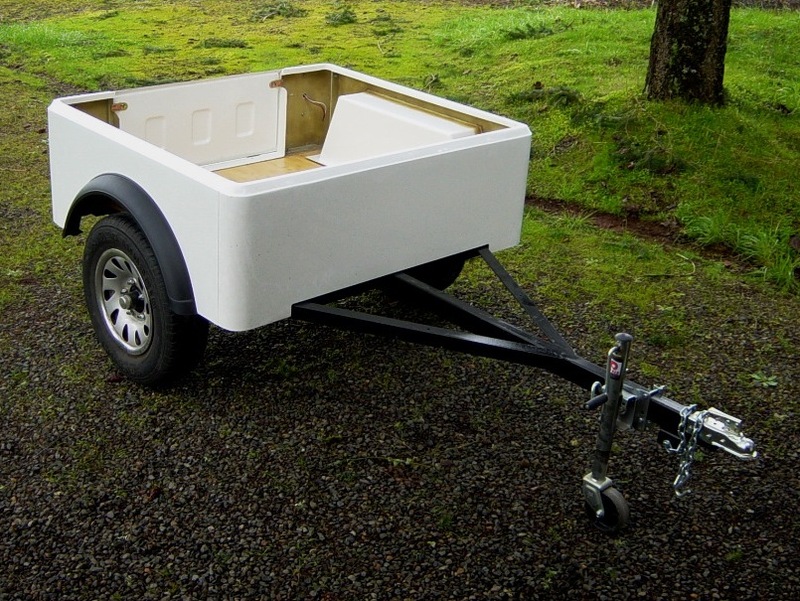 The last unit in the Compact Camping Concepts line-up is the Dinoot Trailer. Like the rest of the line up, versatility is the key to the Dinoot. 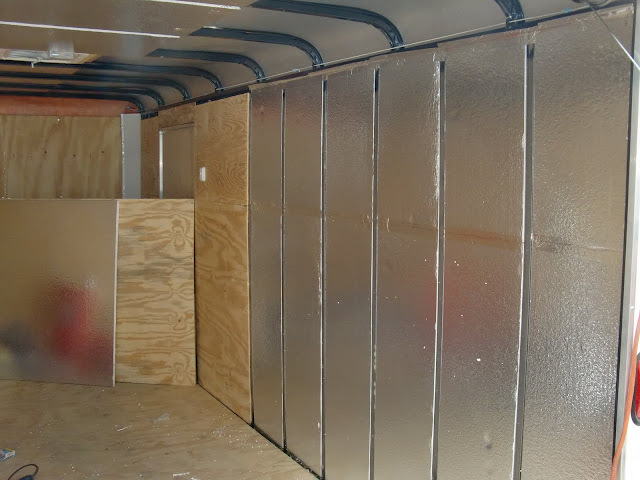 Made of modular fiberglass components, the Dinoot is designed to be built incrementally, which helps spread out the cost of your camper and thus take the burden off your wallet. There are currently two models for the Dinoot, the Compact and the Extended models. 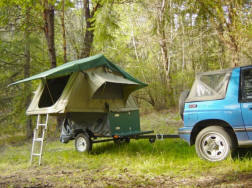 Both models are designed to handle the tasks of being either a hauler for your outdoor gear, or that of a tent topped camper. Obviously, the Dinoot would accompany a Jeep Wrangler quite well. If you’re handy and like tent camping, Compact Camping Concepts looks like a fun way to utilize your technical skills and get that tent off the ground at the same time. For more information, you can contact Scott Chaney at 503-390-3152 or e-mail: scott@cttct.com. 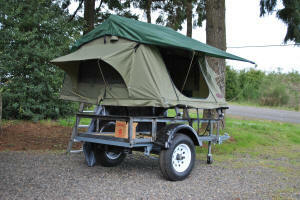 You can visit their website at http://compactcampingconcepts.com.